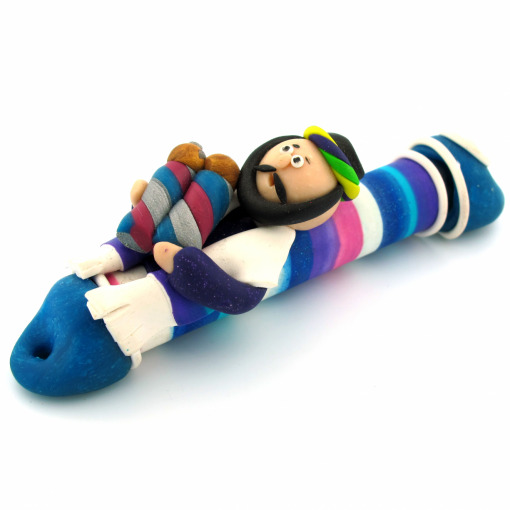 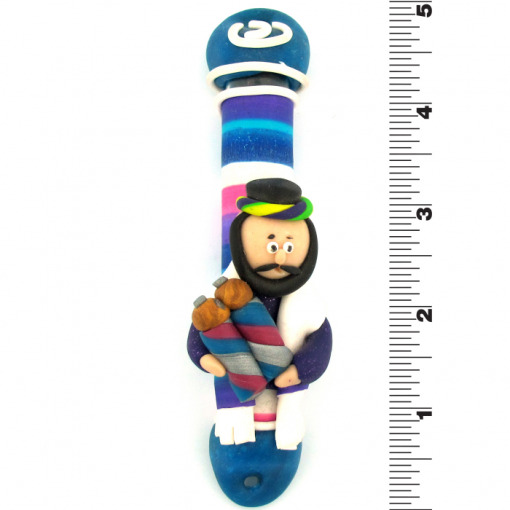 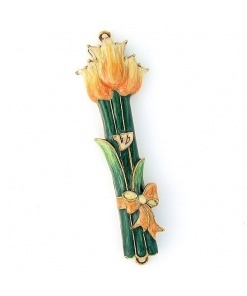 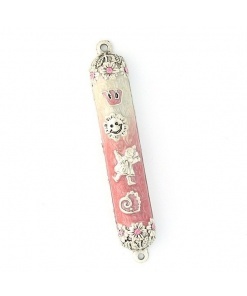 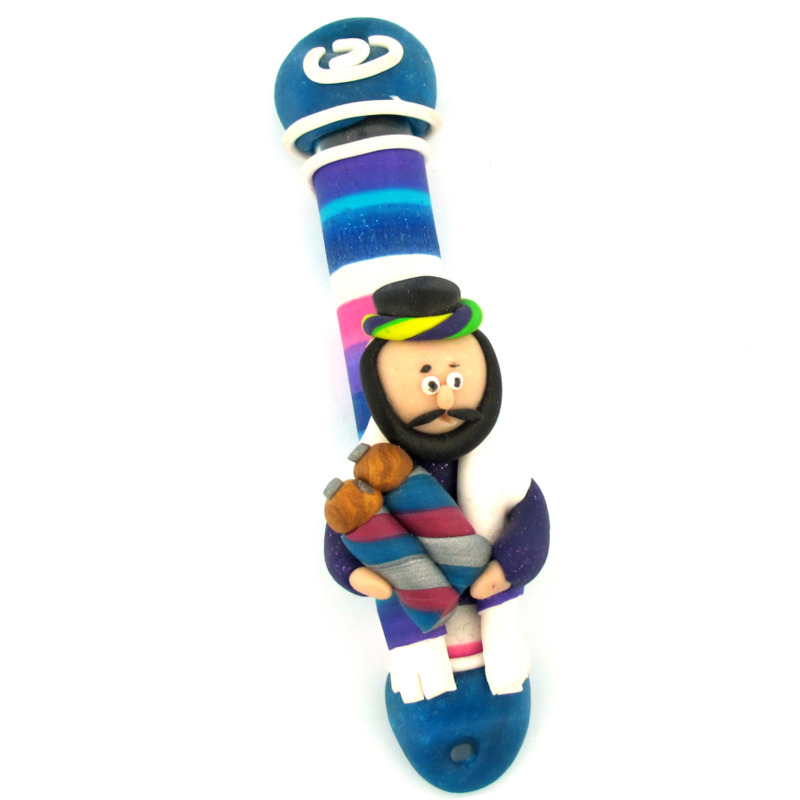 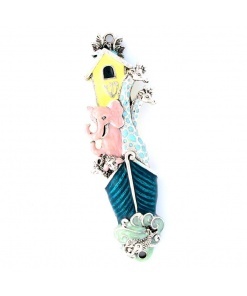 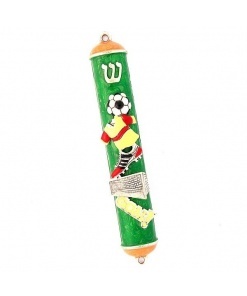 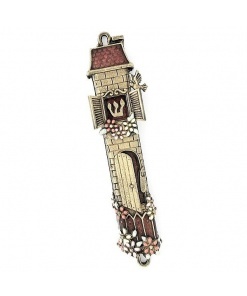 This Rabbi Fimo Mezuzah is fun and colorful. It includes a goofy cartoon rabbi with a Torah Scroll. 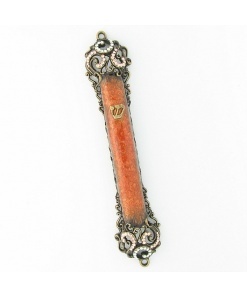 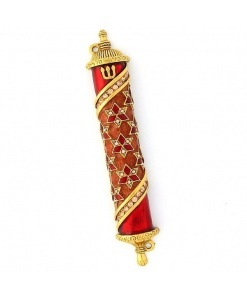 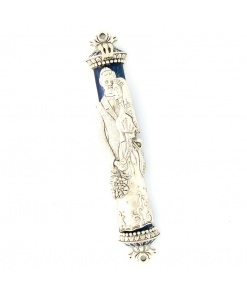 This mezuzah makes a perfect accessory for a Rabbi’s office.